A platinum shank with intricate engraving set with an Old European cut diamond. 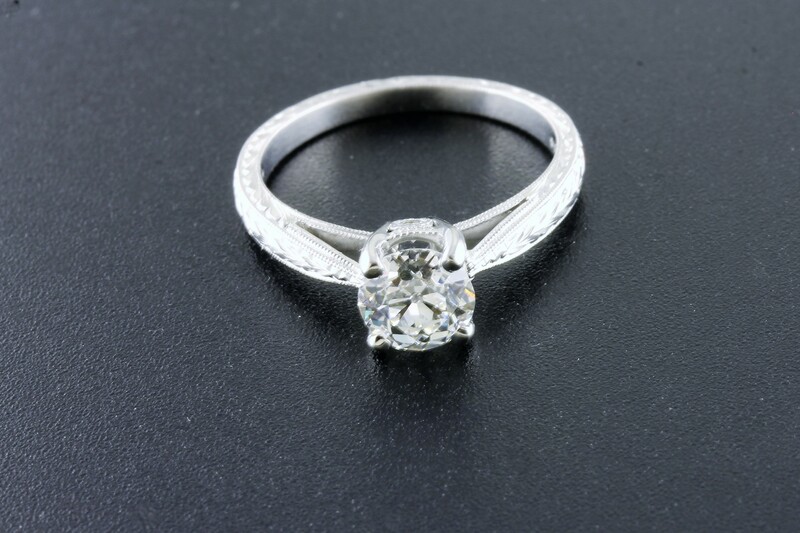 A gorgeous 1.03ct diamond surrounded in a halo of twinkling diamonds. What a way to say "I love you!" 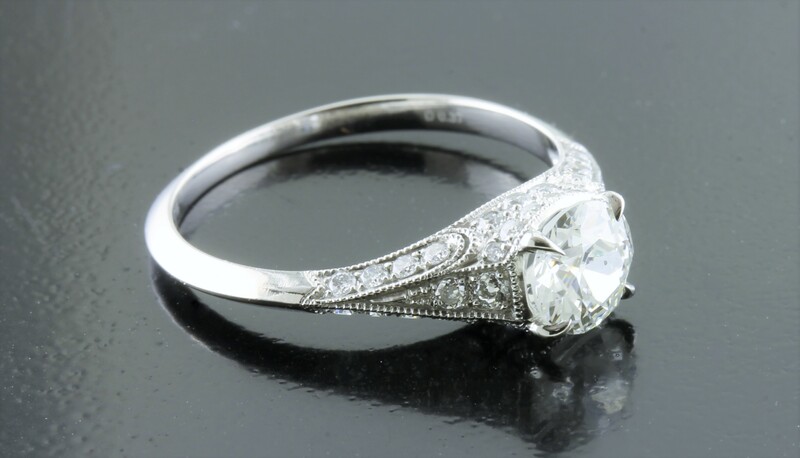 A classic style that show cases the stone. 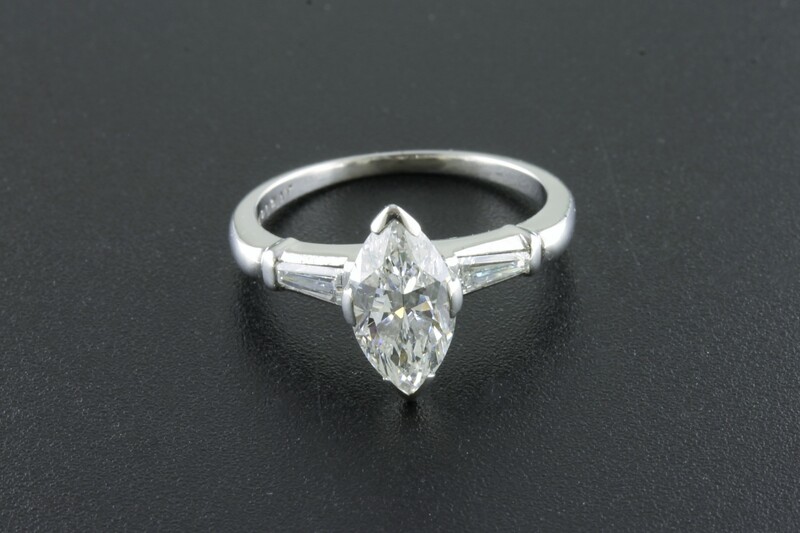 This lovely marquise cut diamond ring in platinum would make a beautiful engagement ring. 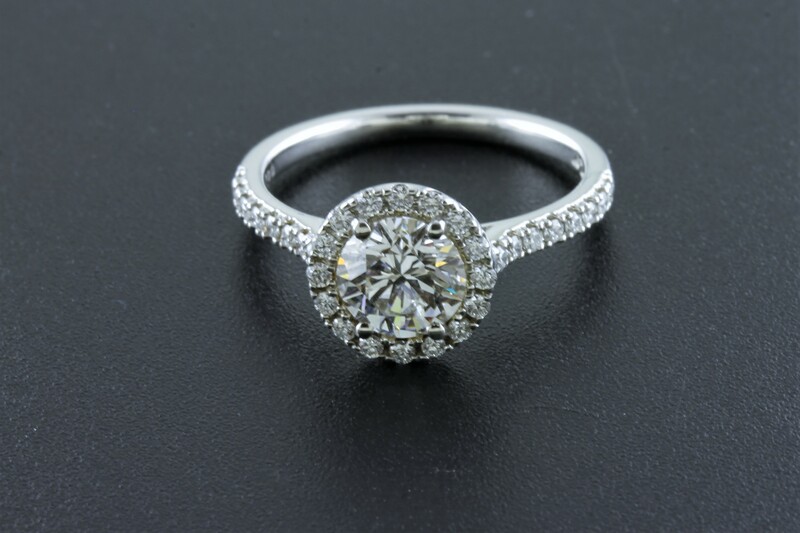 A truly stunning three stone ring! Beautifully cut diamonds that glitter like shards of ice in the sun. 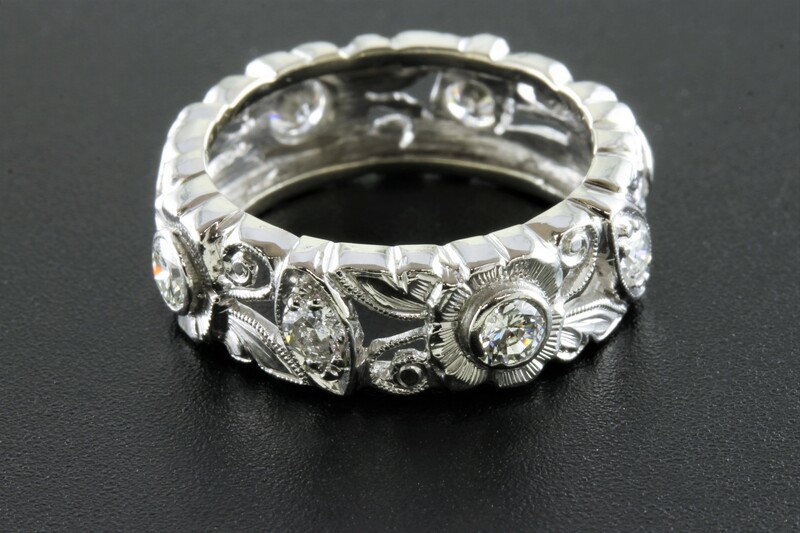 A beautiful,handcrafted, white gold and diamond band with a unique floral design. An absolutely stunning piece! 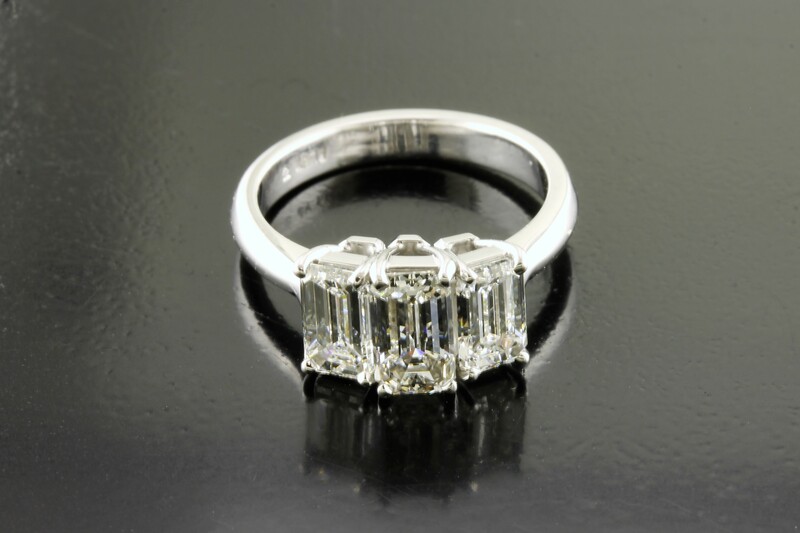 Set with 5.50ct in very fine emerald cut diamonds in precious platinum. 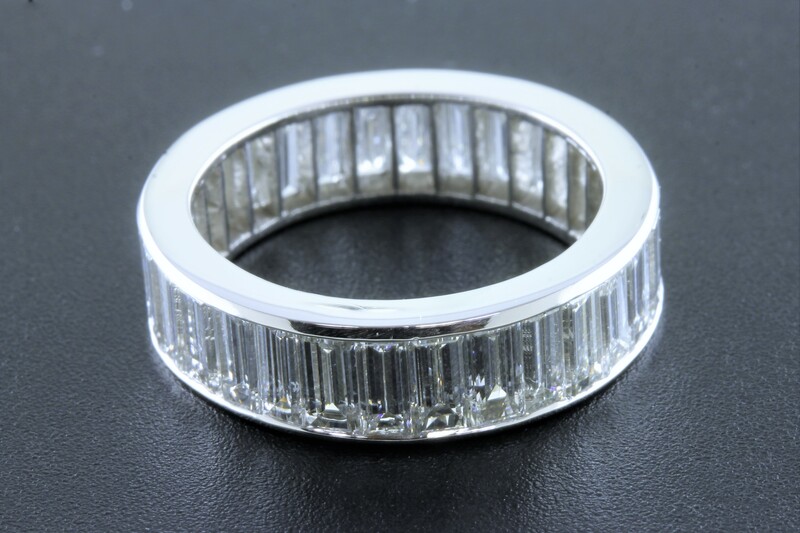 This ring has exquisite detail. 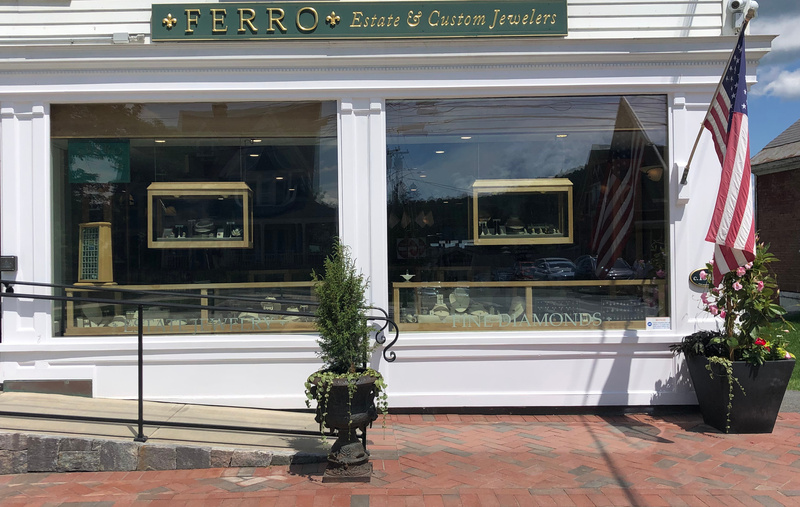 All the diamonds in the gallery are bead set and compliment the center stone to perfection. 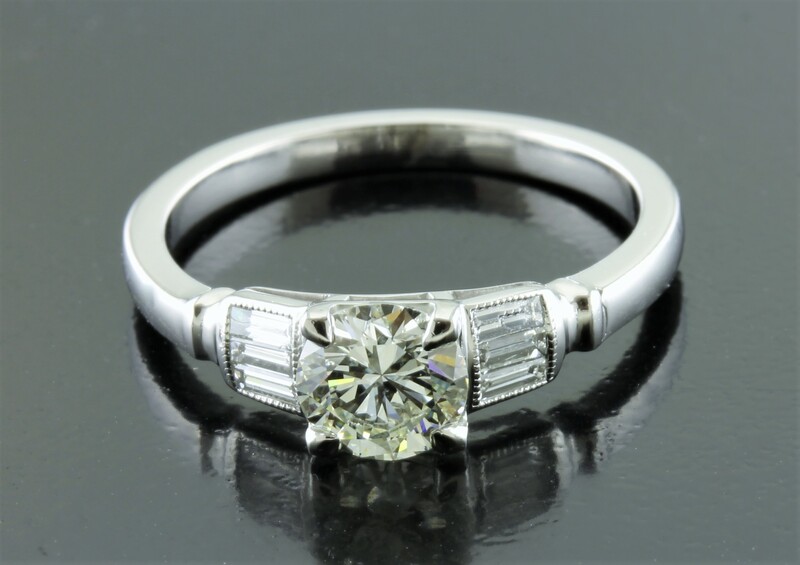 A classic style with attention to detail.This ring is the perfect way to tell her how important she is. 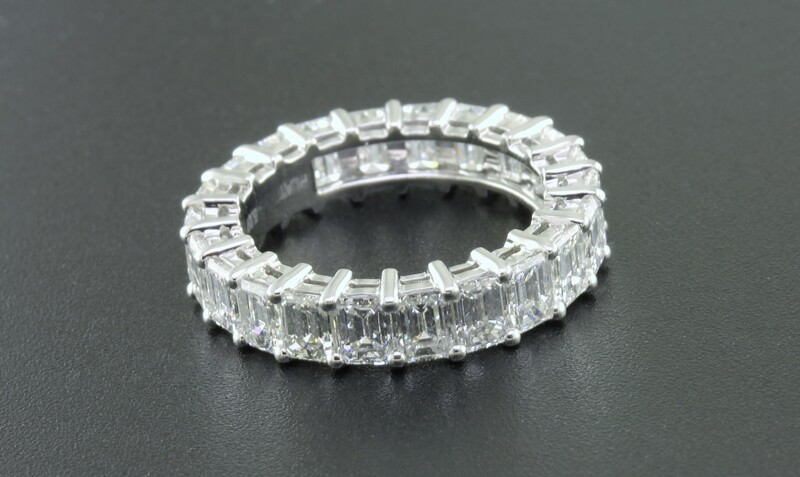 This band encircles the finger with 5.07ct in shimmering emerald cut diamonds. Absolutely stunning! 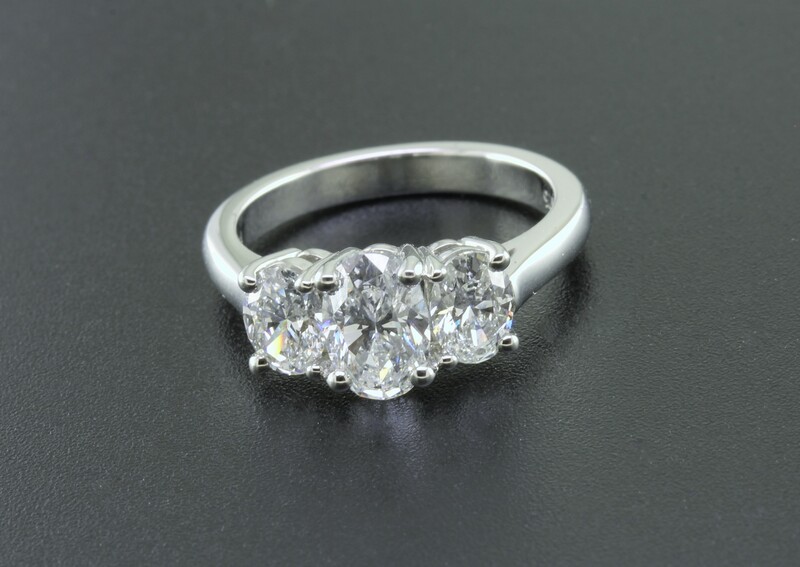 These beautifully proportioned and well cut oval diamonds reflect glittering flashes of light. 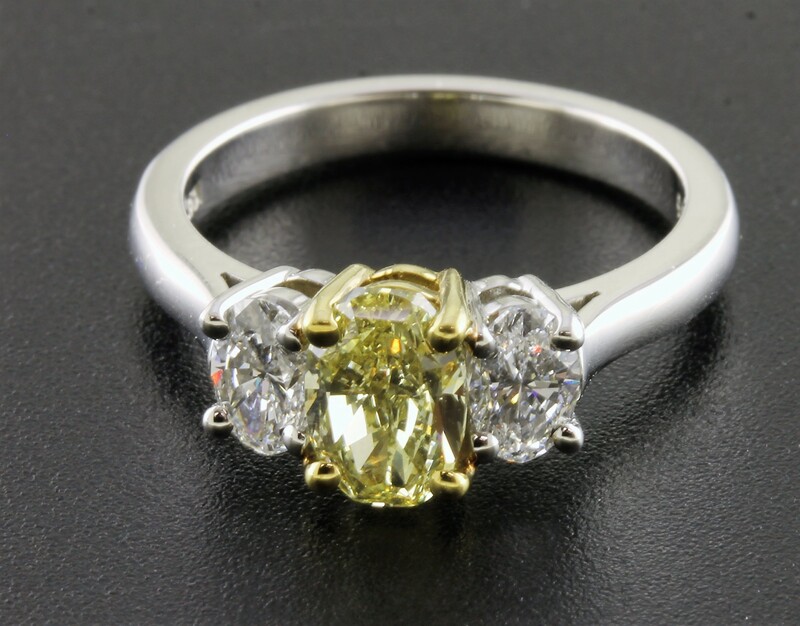 A very arresting combination of fancy intense yellow and brilliant white oval cut diamonds. A very clean and elegant look. Simply stunning! There are no other words to describe this piece. 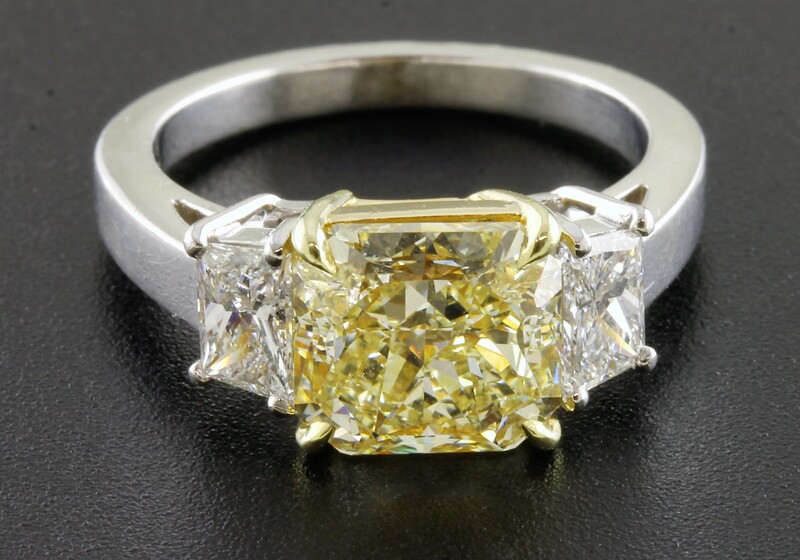 The radiant cut yellow diamond is mesmerizing.